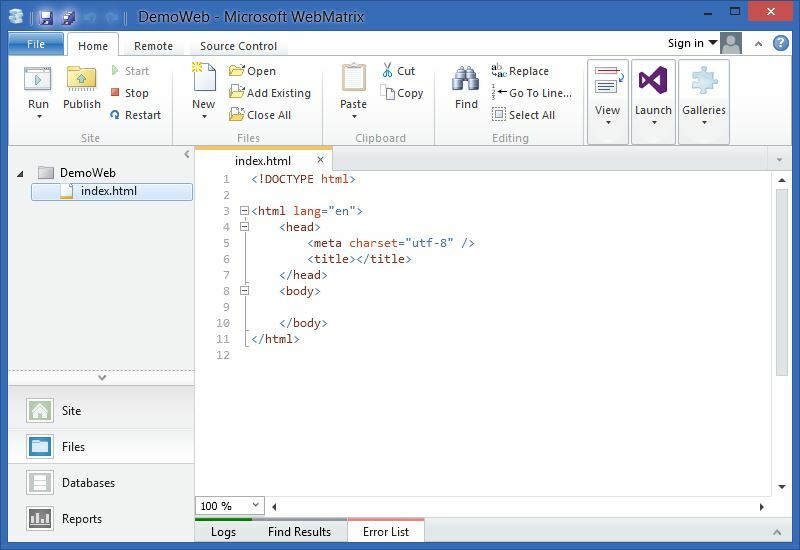 WebMatrix is a free web development tool that provides the easiest way to build websites. With WebMatrix you can start with an empty web site and a blank home page, or you can build on templates using PHP, ASP, Umbraco, DotNetNuke, Drupal, Joomla, WordPress and more. WebMatrix also has built-in tools for databases, security, search engine optimization, and web publishing. The 3 steps below, creates an empty HTML web site. If you want to create an PHP Site, an ASP site, or a Node.js site, look at the bottom of this page. From the template gallery, select Empty Site from HTML templates. WebMatrix creates a new web site and displays a workspace window. To edit your home page, double-click the file index.html. WebMatrix selects a random port number for your local web server. In the example above it is displayed as: http://localhost:4676. Rename the home page from index.html to default.asp. In step 1 select Empty Site from the PHP templates. 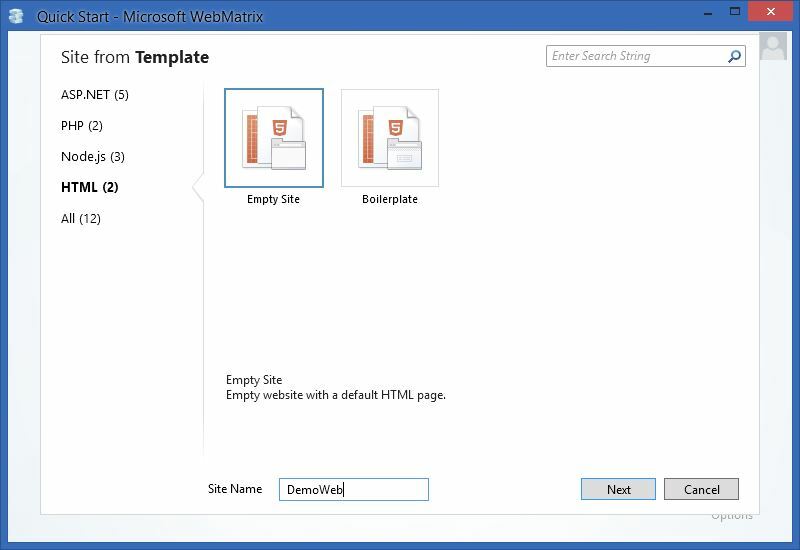 In step 1 select Empty Site from the ASP.NET templates. In step 1 select Empty Site from the Node.js templates.